In September I wrote a blogpost about the pros and cons of upgrading from the Dexcom G4 CGM to the Dexcom G5. Since my upgrade was free and I did not have to return the new and still-unused G4 transmitter, the decision to accept the G5 transmitters was a no-brainer. Two weeks ago my transmitter warranty expired and I was once again faced with the G4/G5 decision. Most of the arguments from my September post are still valid, but probably my biggest concern was whether I liked the positives of the G5 enough to outweigh the increased cost of the transmitters. As most of you know, G4 transmitters are warrantied for 6 months but operate until they die—sometimes as long as a year after initial use. G5 transmitters are sold in pairs with each transmitter programmed to shut-off after 108-112 days (90 days + 18-22 days grace period). Around the DOC I have seen many CGM users who have chosen to remain with the G4 for various reasons. 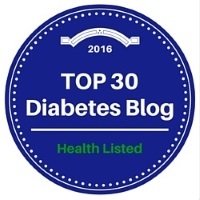 Read Mike Hoskins’ post at Diabetes Mine for a good description of valid reasons for not changing. Recently on Facebook there have been discussions where some users are considering going back to the G4 as their G5 warranties expire. In most cases the motivation is financial although some users have been dissatisfied with the transmission range and signal reliability of the G5 system. I have been using the Dexcom G5 since late February. Initially I was quite frustrated by the alert sound options on my iPhone and in typical fashion wrote a rant blogpost. At that point I was too new to the system to evaluate other pros and cons of the G5 platform. Fast forward a few weeks and when once again faced with the G4/G5 decision, I chose without hesitation to remain with the G5 system. So what changed and why am I totally on board with the G5? 1. Although I never really minded carrying the Dex receiver, I quickly fell in love with not carrying it. I appreciate having one less thing in my pockets and one less expensive device to keep track of. I like how my BG numbers are displayed on the phone and how the G5 app allows me to key in calibration numbers rather than scrolling on the receiver wheel. I like the use of color in the app and the ability to see graphs in landscape mode. I appreciate the new iPhone “complication” that allows me to see my BG number without unlocking my phone. 2. When I use the receiver, I find the screen with the white background easy to read unlike the G4 screen with colored numbers and tracings on a black background. As someone who spends a lot of time hiking in bright sunlight, I found the G4 receiver impossible to read at those times when I needed it the most. (See “Sunlight and the Dex G4: A Bad Mix.”) I will admit that I dislike the glaring spotlight of the G5 screen when checking it in the middle of the night. 3. Although I am still not happy with the sound profiles on the iPhone, it is not bothering me very much. I am experimenting with using the receiver at night and my phone during the day. When I combine the musical Dexcom alerts with my Lantus reminder alarm in the evening, I feel like a digital music box. 4. Because I am a year away from Medicare and no CGM coverage, it is easy to argue that I should be hoarding transmitters and continuing with the extended life of the G4 transmitters. A great idea in theory, but it ignores the probable release of the Dexcom G6 in 2017 or early 2018. The G6 promises improved accuracy and reliability and I suspect it will quickly leave the G4 and G5 platforms in the dust. Because the G5 does not require a receiver, maybe it will be more economical than the G4. Or are you required by the FDA to purchase a new receiver every year? Right now Medicare is a huge “unknown” in my life and I will soon be writing about my preparations and guesswork as I move closer to April 1, 2017. I hate the idea of hoarding supplies and technology that will become obsolete and possibly unused. But I am not optimistic about a change in Medicare CGM policy and am I crazy not to stock up on G4 transmitters? 5. I have not been bothered by things that could be considered flaws of the G5 system. I have experienced very few dropped data points. I have occasionally lost the signal on my phone, but that also happened periodically with my G4 receiver. The battery of my almost 3-year old iPhone 5 runs down more quickly due to the Dex G5, but not enough to be a real problem. I am still not satisfied with the lack of a robust vibrate alert on my phone, but I’m losing no sleep over it. Summary: As I am reminded whenever I write technology blogposts, I am indeed one of the “Diabetes Privileged.” I would of course prefer not to have diabetes and it is certainly not a “privilege” to live with this difficult-nagging-frustrating-serious-chronic health condition. But given that I do, I have many things in my favor. I am educated. I have good health insurance and am able to buy insulin and other required medications/supplies. I have a computer, an iPhone, and a connection to the Internet and the Diabetes Online Community. I have access to good food and a safe environment in which to walk and exercise. I am the beneficiary of the newest diabetes technologies and able to debate whether I want to live with the fabulous Dexcom G4 CGM or the newer and fabulous Dexcom G5 CGM. And today I choose the Dexcom G5.